04ARTS, a non-profit organization founded by visionary educator and artist Penelope Speier, brought the VTS to San Antonio in response to an absence of innovative arts education programming in the inner city schools. The program incorporates the participation of community visual art institutions and a public school district. After recruiting the San Antonio Museum of ART (SAMA), the McNay Art Museum, the San Antonio Independent School District (SAISD), and the assistance of a private funder, the project of the San Antonio VTS began in 1998. Penelope Speier graduated from the University of Texas in Austin in 1966 with a B.S.F.A. in Art History. Throughout the years, Speier has applied her interest in the arts by developing a rich history of community involvement both as an artist, and as an advocate for the arts in education. Speier is an instrumental figure in the creation and administration of art education programs in her home, San Antonio, Texas. Her work as a contemporary gallery owner gave her the opportunity to design and implement art education programs for her client base. As a partner in Carrington Gallagher Fine Arts, she built a broad network, in the United States and in Mexico, of clients, dealers, artists, art educators and museum curators. Her position allowed her the opportunity to work one-on-one with many leading contemporary artists. One of the programs she developed brought renowned artists to participate in school art programs produced in conjunction with the San Antonio Independent School District, Blue Star Art Space, and the San Antonio Museum of Art. Her experiences in program design have included the creation of children’s visual aid booklets and program materials, such as audio visual presentations, developed through collaborations with professional artists and architects. Speier’s professional gallery experience, as well as her earlier job as Solar Energy Program Coordinator at Trinity University, have given her experience in managing budgets and event cordination. Speier’s extensive travel allows her a diverse history of art viewing and museum experiences. She has worked closely with volunteers as a former chair of many board committees. 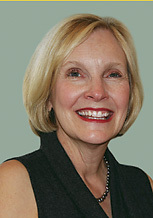 The boards Speier has served on include the Junior League of San Antonio, The Southwest Foundation Forum, the Southwest School of Art and Craft and the ArtPace Board of Visitors. Speier is President of the 04ARTS Foundation, a foundation sponsoring the development and implementation of programs in art education. Currently, Speier devotes her time to the development and management of the 04ARTS Foundation. Joey Fauerso, an artist and educator, received her MFA from the University of Wisconsin-Madison in 2001. Since moving to San Antonio she has founded an alternative gallery and has worked with 04ARTS as a VTS training assistant and as an art instructor for schools in the SAISD. As an artist, Joey has shown her work in several prominent exhibition spaces including the Dallas Museum of Art, The McNay Art Museum, and Blue Star Art Space. moving waters | history + bios | goals | research | photos + newsletters | contact us | links | what is vts?